James is fed up. His family has moved to a new cottage – with grounds that are great for excavations, and trees that are perfect for climbing – and stuff is happening. Stuff that is normally the kind of thing he does. And he’s getting blamed for it. But it’s not him who’s writing strange things on shopping lists and fences. It’s not him who smashes bottles and pours tea in the Vicar’s lap. It’s a ghost – honestly. Thomas Kempe the apothecary has returned and he wants James to be his apprentice. No one else believes in ghosts. It’s up to James to get rid of him. Or he’ll have no pocket money or pudding ever again. 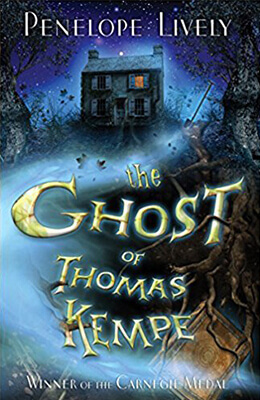 An iconic ghost story for children, The Ghost of Thomas Kempe is adored by thousands of children. It was the winner of the Carnegie Medal in 1973.